I am often asked about intermittent fasting and the question most asked is how to get started. People are genuinely afraid to go without food for more than a few hours and I was certainly no different when I first tried it. Follow our easy Step-By-Step Adaptation Guide To Intermittent Fasting – you will be surprised at what is possible! What is intermittent fasting and how is it different to regular fasting? 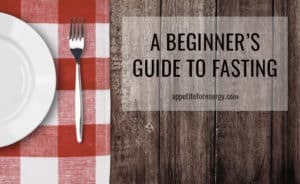 Firstly, intermittent fasting is a technique in which you fast for a number of hours during a 24 hour period but typically not for the whole day. In other words – eat ketogenic food during a short window of 6-8 hours. Choose the eating window that suits your lifestyle best. A common fasting period that works for many people is 9pm – 1pm. For example: finish eating at 9pm after dinner, then do not eat till 1pm the following day. This limits the eating period to 8 hours. There are several methods to choose from but this is the basic method. Follow our step-by-step adaptation guide to intermittent fasting below to transition smoothly over a few weeks. Please include attribution to https://www.appetiteforenergy.com/ with this graphic. Delay breakfast by 2 hours (if normally eat at 6am, then eat at 8am instead). Do not eat or drink anything except water during the fasting period. Do not restrict calories during the adaptation phase. Finish eating in the evening by 9pm. Do not eat till 1pm the next day. You will now be eating between 1 pm and 9pm. 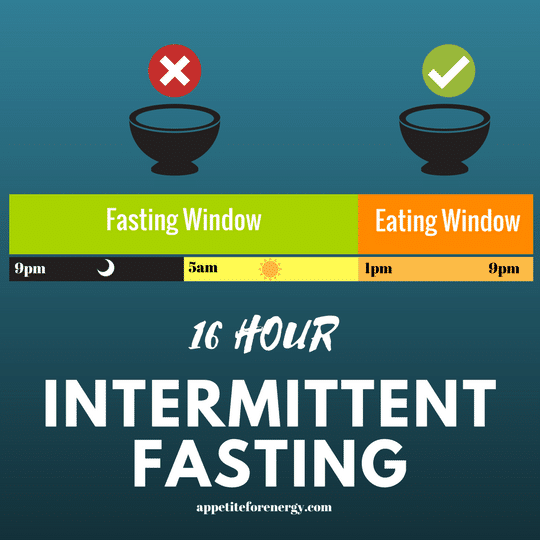 This is an 8 hour window which is ideal to gain the benefits of intermittent fasting. Finish dinner then don’t eat for 12 hours. If you need to eat at 6am, then finish eating dinner the night before by 6pm. Try this for a week, then move to a 16 hour fast. For example eating between 1pm and 9pm. This is a general guide – feel free to experiment to see what works for you. Even fasting for 12 hours is beneficial. Intermittent fasting is a useful tool. Some people do intermittent fasting every day, while others might just do it a few days a week. Some will use it when they are busy and don’t have a lot of time to eat or when they travel to avoid airline food. It frees up time normally spent eating and preparing food. It simplifies your day and you spend less time thinking about your next meal. I find it great on busy school mornings as I can focus on getting the kids ready and out the door without having to worry about eating myself. This is called Bulletproof Intermittent Fasting and it is part of Dave Asprey’s Bulletproof Diet method. 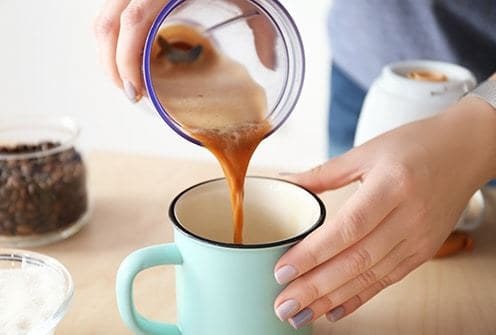 Some people don’t feel great while fasting and this method allows you to drink Bulletproof (Butter) Coffee during the fasting period. The reason this works is that bulletproof coffee does not contain any protein or carbohydrates, so does not stimulate insulin production. It is thought that many of the health benefits of fasting are due to reduced insulin levels in the body. As insulin is produced in response to carbohydrates and protein, consuming only fats, keeps insulin production low. The body uses the butter and MCT oil (oil or powder version) to make ketones for energy. This provides energy for the body and mind while you stay in ketosis. Click here to learn how to make Bulletproof Coffee. I frequently drink butter coffee while intermittent fasting and it works. 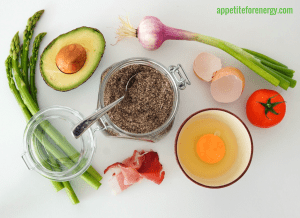 Establish your ketogenic or low-carb eating plan well before trying intermittent fasting. MCT oil is a medium chain triglyceride (fat) and is found in coconut oil. It is quickly converted to ketones in the body and this helps you to get into ketosis. Adding a tablespoon to each meal will increase your ketone levels and burn fat. Even if you are not intermittent fasting, MCT oils cab be helpful to get into ketosis (where the body burns fat instead of glucose). Try adding 1 tbsp of MCT oil powder or MCT oil to each meal (or add to coffee, tea or smoothies). MCT oil can be added to salad dressings (with or instead of olive oil), soups or added into smoothies. You can cook with it also. MCT oil powder can be used in tea or coffee, used in baking or fat bombs, added to smoothies and whole milk or Greek yogurt. Start with a teaspoon and work up to 1-3 tablespoons per day. The body needs time to get used to digesting MCT oils, so start slow. 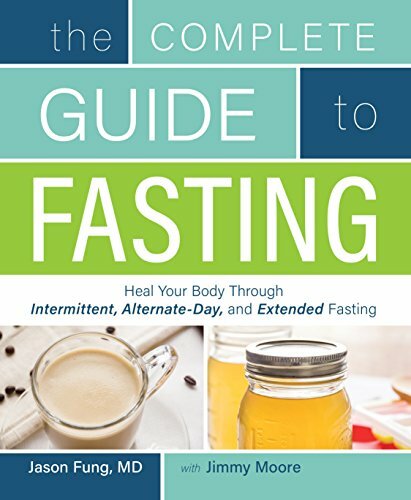 If you would like to dive deeper into fasting and intermittent fasting, I would recommend The Complete Guide To Fasting by Jason Fung and Jimmy Moore. 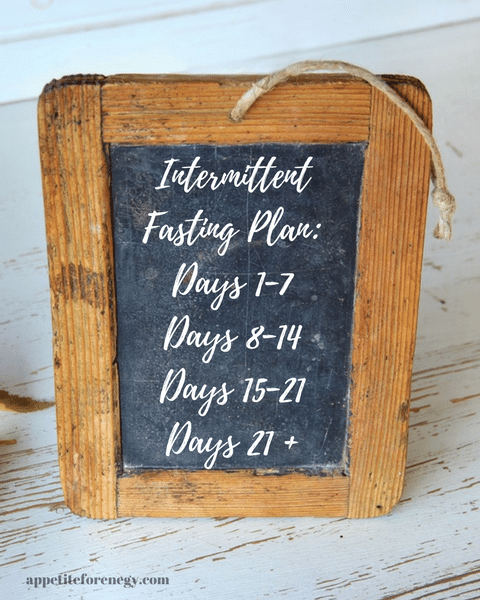 Have you tried intermittent fasting? What has been your experience? I’m a dancing student and i currently dance or do any other fitness activity for about 4-6 hours daily, plus i have classes (including those 4-6h) 12h daily 4 days a week. I want to start with intermittent fasting but i’m afraid to fell weak or dizzy during my classes. Any advise you can give me? Given your high level of exercise, you want to be fat adapted before you try intermittent fasting ie. have been following a keto diet for 3-4 weeks and already experiencing long periods (4-5 hrs+) without being hungry. If measuring ketones, levels would be 1 – 3.0 m/mol. This will help your energy levels to be stable during your classes. 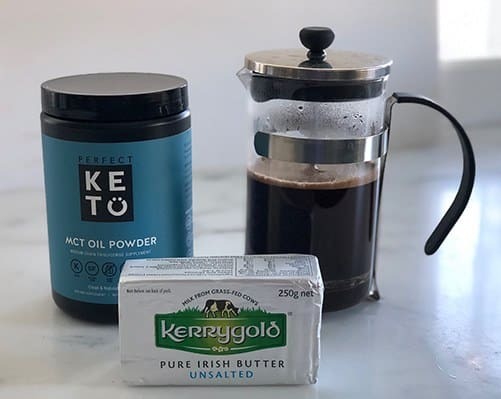 Once you’re fat adapted, consuming bulletproof coffee (butter coffee or tea) in the morning will give you energy without kicking off an insulin response.